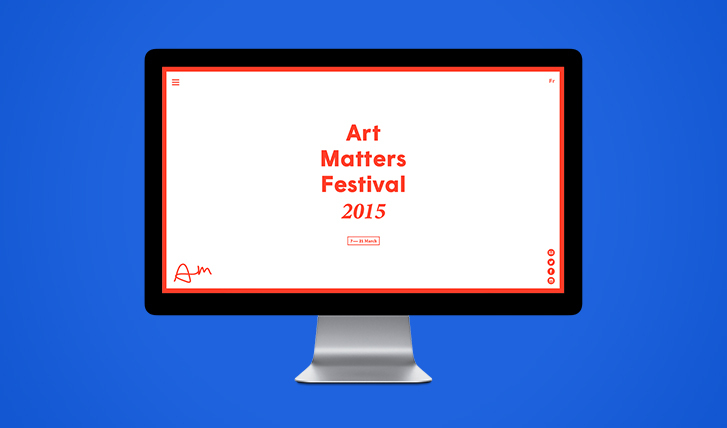 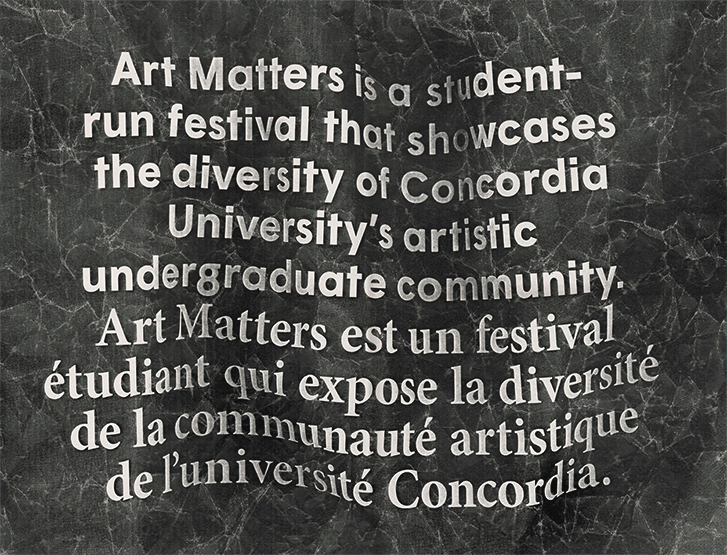 Taking place annually in March, Art Matters is a student-run art festival that features two weeks of exhibitions curated by Concordia University students in venues throughout Montreal and hosts an opening party with live performances, artist talks, vernissages, an open-house weekend and more. 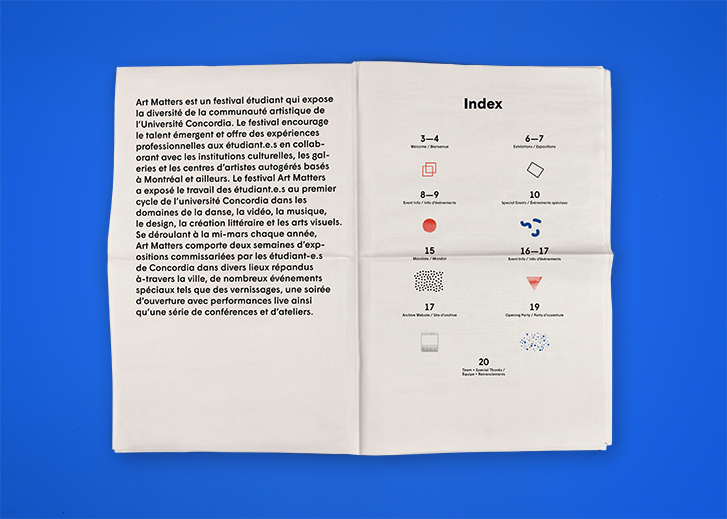 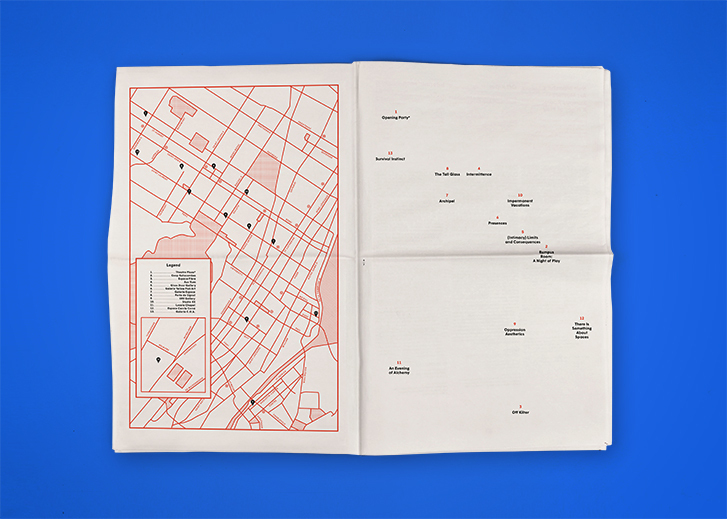 The graphic identity and catalogue not only represent the diversity of artistic work, but also treat the festival as a call to action for a demonstration of the students’ role within Montreal’s artistic community. 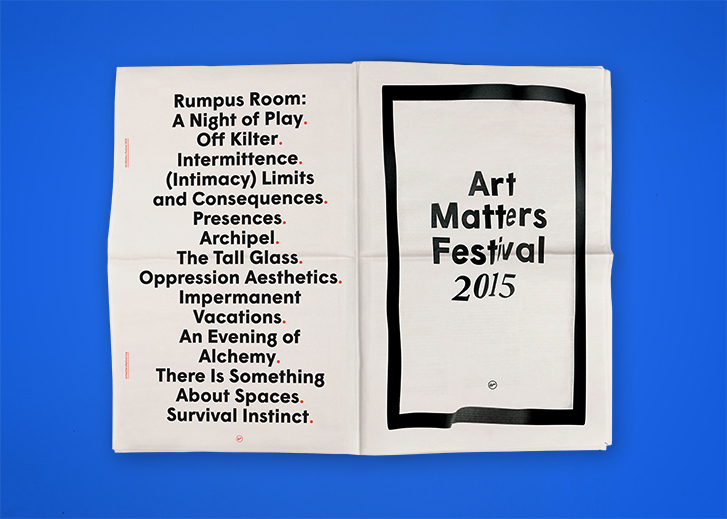 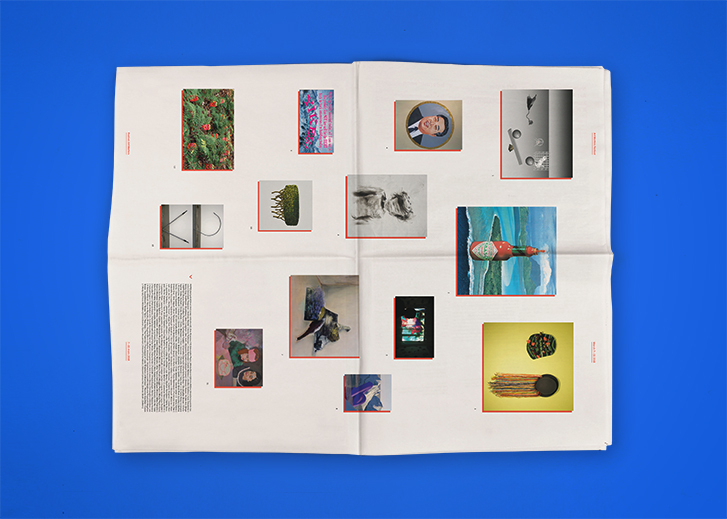 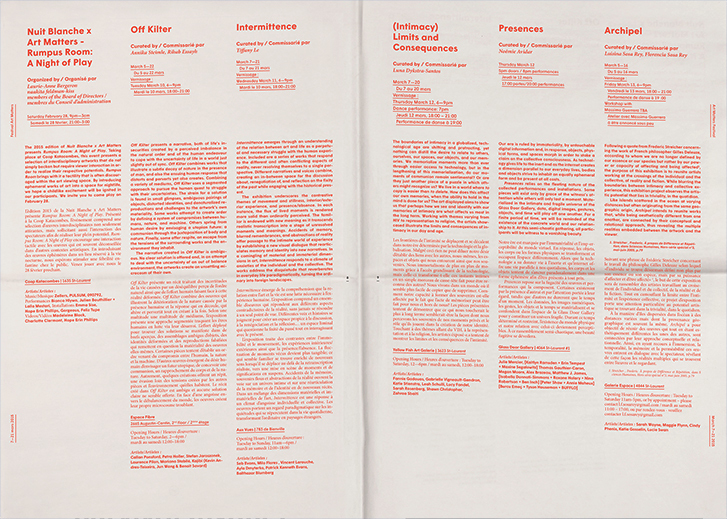 Wigrum was used handsomely throughout the graphic identity of its 2015 edition.